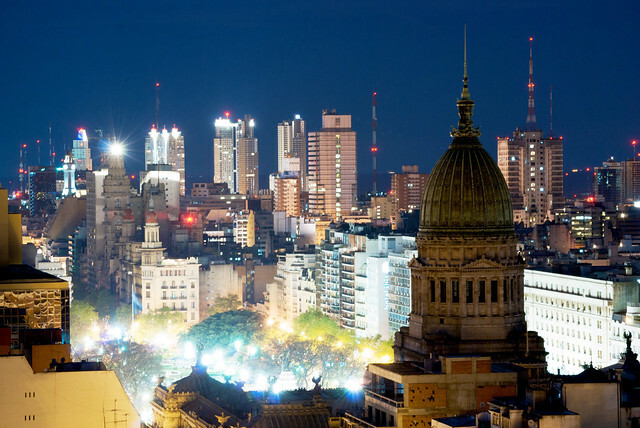 The global community of Creative Commons will gather this year in Buenos Aires for our bi-annual Global Summit. The event, which will run for three days from 21 to 24 August, will be held at the San Martín Cultural Center and will be co-hosted by our local Creative Commons affiliates, Fundación Vía Libre and Wikimedia Argentina. This is the first time the conference will be held in a Spanish-speaking country, and the second time in Latin America. The event will bring together Creative Commons affiliates from the around the world with the CC board, its staff, key stakeholders, local representatives and others interested in the present and future of the commons. Attendees will discuss strategies to strengthen Creative Commons and its worldwide community; learn about the latest developments in the commons movement worldwide; and showcase local and international projects that use Creative Commons licenses. Topics covered will include the implementation of open policies in areas such as government, education, culture, business, science, data and more, as well as related topics such as free software, license development, collecting societies and copyright advocacy. The event is free for all attendees, although registration is required, and will include a Spanish-language stream to highlight the expertise of the local community, to learn about their interests, concerns and perspectives for future work. The program for this years Global Summit will be developed through a collaborative planning process, with an open call for papers and a Programming Committee made up of community members. Creative Commons has officially launched its call for papers for the 2013 Global Summit. You have until 24 May to submit a session for the main program of the Summit. Lightning talks and unconference sessions can be submitted later. For details on how to apply, see our Call for Papers page.